Yes! We are back in London for ON-SET special 15 years anniversary! And what best way to celebrate it then come back in the same neighbourhood where ON-SET was born in 2001? The line up is huge and will be unveiled soon! 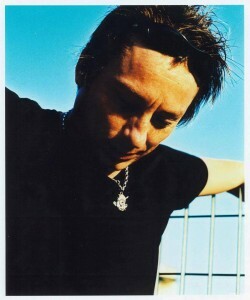 One of London’s underground techno pioneers, Julian Liberator helped change the face of the UK dance scene in early 1991, through his involvement in the capitals illegal warehouse party scene he helped create and through founding the Liberator DJ’s and S.U.F Collective over the following years. Whilst their flagship acid techno labels Stay Up Forever and Cluster brought them international acclaim as both recording artists and DJ’s, Julian’s forward thinking, purist yet eclectic techno imprints, 4X4, ARTEFACT and ULTRA FUNK, have achieved both world wide cult status, and industry respect, through both his own outstanding productions and by providing the first platforms for many an acclaimed international artist, including Renato Cohen, Christian Varela, Leo Laker and Mark Verbos, alongside established world class luminaries like Lenny D. and DJ Rush. A unique and complete artist in every sense, with both vision and verve, Julian has achieved a rare accomplishment, by creating both genre-defining productions and creating genre itself. 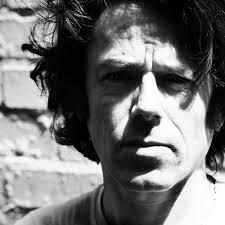 With a passion for the avant-garde Julian does not make “easy” music for the mainstream. As a skilled percussionist, his love of rhythmical freestyle and sonic excursions to the left field are adored by those in the know and have been championed for over 20 years by such supreme taste makers as the legendary John Peel, Dave Clark and Kris Needs alike. After an 8-year production hiatus, December 2015 saw the welcome return of Julian’s unique production talents, under his Booty Slave moniker with Patrick DSP on Emetic 026. This awesome techno bomb is currently hitting dance floors around the globe, with massive support from Slam, Dave Terrida, Perc, Funk D’Void, Mr Jones, Sawf, and Jerome Hill. With an imminent second Booty Slave release, co written with man of the moment Chicago Loop, and studio sessions over the next month with the legendary Mike Humphries of Master Traxx and a return trip to Patrick DSP’s Berlin bunker, 2016 is shaping up to be a massive year for Julian and proof enough, that whilst form is temporary, class is most definitely permanent. As a DJ, Julian has always stood apart from the crowd. Year’s ahead of his contemporaries, his innovative, open-minded, free form approach, has always defied the narrow minded, sub-genre obsessed, mainstream. Instead, Julian fuses all styles and rhythms that say Techno to him, hard, deep, minimal, acidic, 4/4, 3/4, broken beat. The defining criteria of interest, energy and funk, are brought together through Julian’s vast and intimate knowledge of electronic music and then skilfully crafted on 4 decks, into a wilful, sometimes challenging, but always exhilarating, journey of discovery. 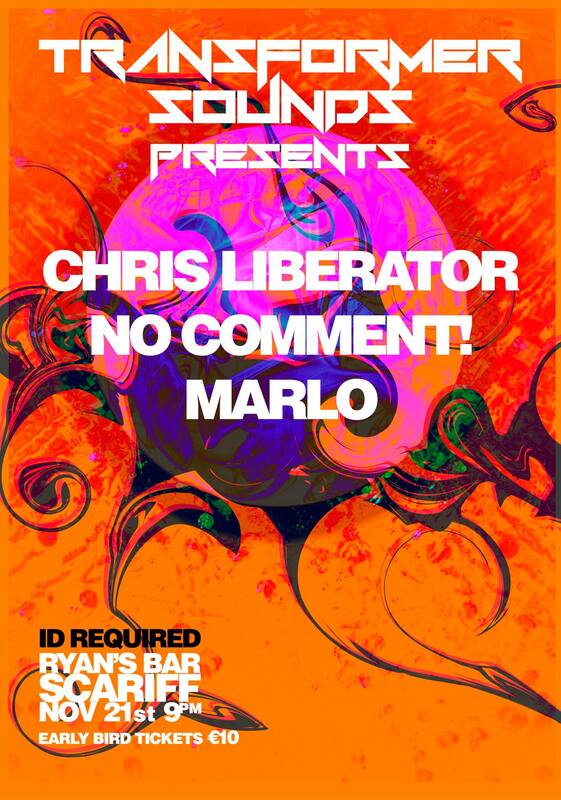 Posted in Chris Liberator, Live Recordings. Tagged 14, birthday, chris, contact, liberator, LIVE, Mark EG, recording. 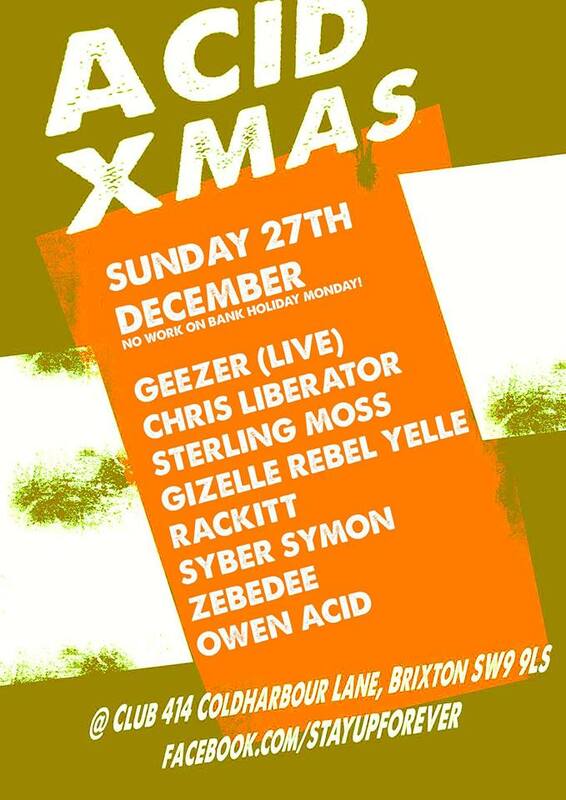 Acid Xmas… It’s that time of year to dance off those mince pies and turkey, so take a sleigh ride to the 414 in Brixton for some chestnut roasting Acid Techno – it’ll be the best present you get this year! Posted in Chris Liberator, Video. Tagged anniversary, chris, club, liberator, LIVE, storm, video. 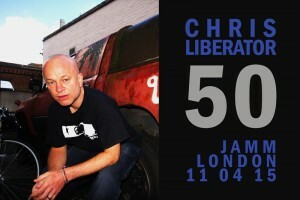 Acid Techno.co.uk & Spliffy B Would like to Wish the legendary Chris Liberator a very happy 50th birthday. Catch his birthday event on Saturday at Brixton Jamm! Posted in Chris Liberator. Tagged 50, acid, birthday, chris, knowles, liberator, techno. What can I say that hasn`t been said already, You lot don’t need any introduction! But still, for those new faces I seen in the crowed last week, Chris is and always will be the MAN behind the infamous UK sound, Acid Techno, One of the pioneers of the genre of music we all love to rock out to. 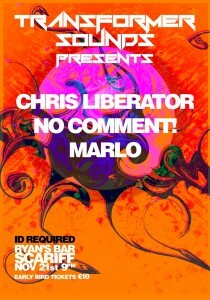 With Guest DJ Marlo, who likes to be referred to as “boi” and myself, resident DJ No Comment! Posted in Events. Tagged acid, chris, DJ, DJ Marlow, ireland, irish, liberator, no comment, techno. 10th October 2014 The South of London will be on fire!! THIS PARTY IS NOT TO BE MISSED!! For all those who have experienced the last ELEMENTAL’s you know the good vibe and blistering sounds that resonate around the Club 414 Brixton, and this one will rocket you into another realm, expect dance floor mayhem, aural excitement and a safe and friendly atmosphere to be part of.